One of the hottest teams in the NFL last year, the Kansas City Chiefs are in danger of taking a big step in the wrong direction this coming season. The big picture: The Kansas City Chiefs lost some key talent to other teams in free agency and didn’t remotely make up for it with their own signings. The draft will be absolutely key to ensuring the talent gap isn’t too great. Who they lost: The Chiefs lost key players on both sides of the ball. Dee Ford (trade with San Francisco), pass rusher: Had 13 sacks in 2018. Justin Houston (now with the Colts), pass rusher: Had nine sacks in 2018. Mitch Morse (now with Buffalo), center: Full-time starter since 2015. Steven Nelson (now with Pittsburgh), cornerback: Four interceptions in 2018. Demetrius Harris (now with Cleveland), tight end: Three touchdowns. Chris Conley (now with Jacksonville), wide receiver: Five touchdowns. Jordan Devey (now with Oakland), guard/center: Appeared in seven games last year. Kareem Hunt (now with Cleveland), running back: Before he was released, he had 14 touchdowns in 11 games. The big losses here are the two pass rushers, center Mitch Morse, and receiver Chris Conley. The Chiefs have already found an adequate replacement for Hunt in Damien Williams. Who they signed: The Chiefs did manage to land one big fish, and it’s one that should help out big time. Otherwise, what they did in free agency is underwhelming. Safety Tyrann Mathieu is an immediate upgrade and will be an instant-impact player on defense. Defensive end Alex Okafor is a role player who has 22 career sacks in six NFL seasons. Linebacker Damien Wilson has a chance to start, yet he’s certainly not a superstar. Running back Carlos Hyde could be a dynamo playing with Williams, yet his history of injuries is a big red flag. Cornerback Bashaud Breeland was once a promising young player. Yet he’s fallen off in recent years. Expectations should be muted. The Tyreek Hill situation: At this point it’s unknown what will happen as police investigate Hill for potential child abuse. If he is exonerated then obviously we can expect the receiver and Patrick Mahomes to continue lighting up the league. However, if Hill is found to have broken his son’s arm, then the Chiefs will have no choice but to release him, just like they did with Hunt. 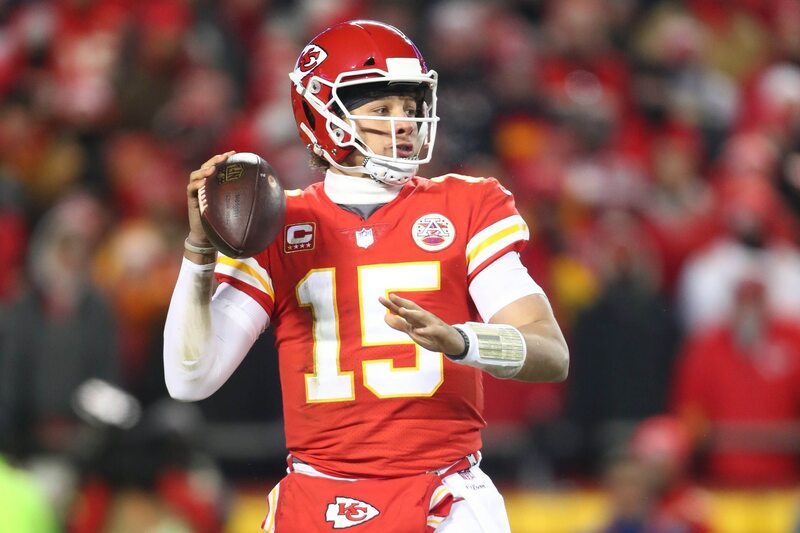 The bottom line: Even assuming Hill comes back and that situation doesn’t impact the Chiefs in 2019, Kansas City has gotten weaker on both sides of the ball this offseason. General manager Brett Veach has his hands full, to be sure. The Chiefs have to absolutely ace the draft. Areas of need include pass rushers, cornerbacks and offensive linemen. Remember, this was a team that had big-time issues on defense last year. Yet the incredible play of Mahomes covered a multitude of sins. Now those deficits have increased all the more. If they don’t land a sweet haul of players who can immediately produce, the Chiefs are in danger of going from the belle of the ball to one of the most disappointing teams in the league this coming season.